I'm coming up on my one year mark for blogging soon and I can't believe how much I have grown as a result of this adventure. I've learned so much by reading other blogs and getting to "chat" with so many other bloggers that I really can't imagine teaching without this resource. So much has changed in so little time, really. I had reached a "slump" in my career. I had gotten comfortable. Nothing new. Then, wham! Blogging entered and I got a new jolt shot into my teaching soul. I'm serious. I'm sure I am not alone. In fact, I know I am not alone because several of you have shared with me that you feel the same. I can't believe that when I say "you" that that number has escalated to 950! 950 followers, really? As a way of saying "thanks", I'm having a giveaway. Guess what's up for grabs? 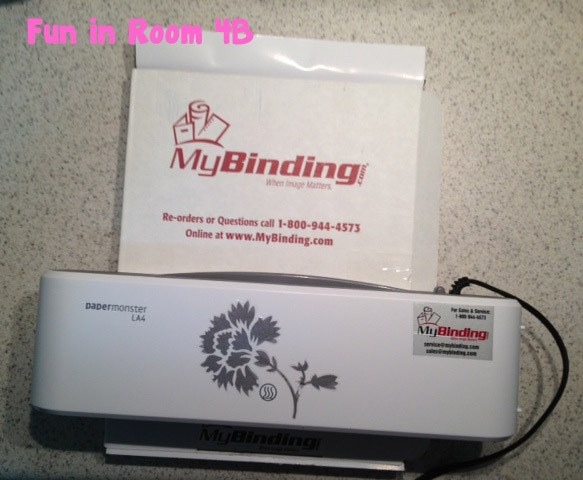 Yes, that happy little laminator that I told you about last week. See that cute flower on the top? That's a decal that came with the laminator. Cute, huh? Enter for your chance to win! The giveaway ends at 12:01 am next Thursday (October 8th)! Good luck! I'll be emailing you your copy in a second. Now, for real.....ready, set, go! Congrats! My hubs and I always pick out and carve our pumpkin together on Halloween so it's fresh for the visitors :) Although, have you seen the painted pumpkins on Pinterest?!? I'm thinking I just might NEED to make one of those puppies too! Regardless, with out kiddos of our own yet- we have fun at home passing out candy. I have zero plans since I don't live in a neighborhood, which is nice. I'll have a night of nothingness! For Halloween, I'm helping out at my church's Autumn Bash! For Halloween my church is having a fall festival, and I will be working one of the booths. I just wanted to say that I began blogging at the end of this summer for the exact same reason. Blogging has given me that extra bit of energy and excitement for teaching that I was needing. none for actual Halloween. Maybe watch a horror movie on Netflix. I'm celebrating Halloween early Saturday with pumpkin carving, and going to the L.A Haunted Hayride. Halloween = giving out candy in the neighborhood. I have majorly neglected my blog, but I regularly read many of my favorites, like yours! Love all the ideas I get, and especially all the SC content posts! Halloween- reading fun stories to my students & giving them pencils. :) I'm also planning to watch some non-scary movies. I will be passing out candy to the very few trick or treaters we get on Halloween. The big Halloween for me is our school's Fall Festival the Friday before. We basically have a whole day Halloween celebration at school! We're having a 'Harvest Party' at school on the 30th. I don't know how my new town does trick or treating...but I'll probably be sitting on the couch watching tv! Congrats girl! It's because you rock! I'm not sure of my plans for Halloween yet. I need something fun to do! Congrats on the 950 followers!! I would love to win the laminator! Awesome!! 950 followers! That's so great! I agree about getting renewed by the blogging community. I don't blog myself but follow many and LOVE all the great ideas out there. Oh for Halloween I plan to take my three boys trick-or-treating. So much fun! I'm going to give out candy (to the 5 kids who actually stop by, our houses are spread out!) and we are dressing our baby Phoebe dog up as a bee ('cause we call her Bee as her nickname)...for as long as a 2 year old lab will let you dress them up. Aren't we terrible?! Congratulations again and thanks for this awesome chance! Halloween is my birthday!!! We are one of two schools in our district that still allows the students to dress up and has a school wide Halloween parade. After that it will be classroom Halloween parties, dinner with my own kiddos, then probably my very last year of trick-or-treating with my daughter....she's a 6th grader this year. Oh my gosh--can I relate to that feeling of being stale as a teacher? I got sucked into Pinterest this summer and one thing led me to another teaching blog and I felt like an excited teacher again, not the crabby old one down the hall. Congratulations for getting your mojo back--950 followers is awesome! As for Halloween, we sugar them up at school and then send them home--simple. The I take my own 2 kids out and they eat so much candy it's INSANE. Last year, Halloween was cancelled here (for real), so this year is kind of a big deal. My neighbors have an annual party. Food and costumes and fun! I don't really have big plans for Halloween. We'll do a few theme-related activities for school. At home, my kiddos are getting a little too "old" for the trick-or-treating (which is fine with me)! They like being old enough to just answer the door and hand out treats. No big plans for Halloween. Congratulations on the BIG 950 followers!! I have only been teacher blogging since this summer....but I so agree that it has given me a sense of renewal in my teaching. As for Halloween...well...we don't get many "trick or treaters" where I live...but I will be ready.....just in case....just like every year!! Thank you sooooo much for the task cards....my students are going to love them!!! For Halloween we are having a community night at our school to provide a safe place for our kids to go Trick or Treating. Our school isn't big on celebrating Halloween but I will be taking the kiddos out for tricks and treats. My 3 year old daughter wants to be a super hero so her 5 mos. old brother got stuck with being a criminal. Good times. Our community has early trick or treating followed by a costume parade and bonfire at the park. We don't do anything at school, but some years have hat day as a fundraiser for charity. I will be taking my children to the Trunk and Treat at our church. No costumes. I will be participating with my church's teen group as we host a Trunk or Treat with games, a bouncy house and smores! Congrats on your followers! I need a jolt too. That is why I'm leaving my old school, yes now in October and starting a new adventure in another district. 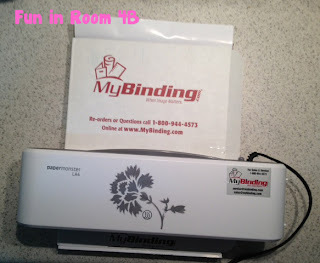 Thanks for the opportunity to win such an adorable laminator!! Congrats on all your followers! I'm loving your blog! As of now, I have no plans for Halloween night. Congrats on 950 followers! I will be passing out candy this Halloween. Kudos to you on 950 followers! WOW! Congrats on 950 followers! That is great! My Halloween plans are to just give out candy to the sweet trick or treaters! 950 followers!! Way to go!!! My Halloween plans are to answer the door at Mom's house since she turns on her light, but really doesn't like to answer the door. Go figure....she's fickle!!! Congrats! Congrats on 950 followers.......I'm a big fan and follower of yours! I dress up on Halloween - make my husband and the fur babies dress up as well - and then we have fun answering the door for the neighborhood kiddos......love Halloween! No plans of my own...just hoping to survive our parade/party at school! In school for Halloween we always have a fun rotation of games and making something edible. Personally, my good friend has a birthday and on Halloween and wehave a big party and all the grown ups dress up! We have a pot luck and have a blast! Congrats!! We hope to be there soon! We just hit the 100 mark! My plans for Halloween are to hang out at our neighborhood party (always a blast for parents and kids) and then pass candy out while my kids are trick or treating with their Daddy. It's hard this year with my own children. They are all teenagers this year. At least I get to celebrate with my firsties! We will have a small celebration in the classroom. Then all the seniors from the high school come over to parade around. The kiddos LOVE it! This year my oldest will be in that group. Sniff! Sniff! We have a very social neighborhood so we will be taking the kids out and passing candy out to all of the little ones. I love to decorate for this holiday so my house has been transformed into a spooky graveyard. I think my Scotch laminator is about to go out so I would love this! My plans for Halloween are to take my little one trick or treating! She will be the prettiest Cinderella ever! My 3 year old and I have dentist appointments before we go Trick-or-Treating : ) How funny is that??! Congrats on the followers! I have zero plans for Halloween. Hubby can be a bit of a grinch about the holiday. My plans for Halloween is to sleep! I have parent teacher conferences the next day. Wearing my Olivia the Pig (no snout though) costume and having fun with my class! My plans are to have a school party and then relax at home with cute trick or treaters coming to my door!! Way to go on 950 followers!!! This all so new to me. I always spend time with my family on Halloween. We have a weenie roast and take the children trick-or-treating. Great time of year to spend with family! Just LOVE the excitment in the kids when they see all the candy! Congrats on your blog success!!! Well, for Halloween my family goes to the local pumpkin patch. We enjoy all the fun rides and great food. We let our 5 y/o son choose pumpkins for each of us. Then we take them home and he decorates all of them. This will be our daughter's first Halloween, so we get to add one more pumpkin! Congratulations on all of your blog success. I'm still contemplating beginning a blog, but I'm loving stalking and looking for new ideas. Thanks for sharing your ideas and successes. My Halloween plans include carving pumpkins with my kids. Even as grown kids (23, 21, & 15), they still love to carve pumpkins. We will probably bake a sweet treat to enjoy, and then answer the door for the little kids that Trick-or-Treat in our neighborhood. We love this holiday at our house! We will build a fire in the pit and sit and enjoy the trick or treaters, oh and we will torture the dogs by dressing them up. In school we have an orange day in class and have rotations using Halloween themed books. At home, my daughter has her friends over (they are seniors this year...) and I make spooky food while they watch scary movies. I hope that it's warm enough so that my girls can wear their costumes without layering! Wow, 950? We always do Trunk or Treat at our church, which is always fun. Since this is our son's first Halloween, we've been planning out his costume. My hubby won, and he's going to be the Stay Puft marshmellow man. I ordered a chef hat this weekend to start creating the costume. I hate dressing up for Halloween, I'm just not creative enough to have a great costume. Thanks to your creativity, my students still get to make cool stuff. Keep up the great work. We're going to begin making our multiplication lapbooks this week. We are actually going to a concert on Halloween night... not a Halloween-themed concert or anything - not really sure why it was scheduled for that evening, but I am beyond excited about going. We have a big parade with all the kids wearing their costumes. It is so much fun. All the parents come to watch and take pictures! Congrats on your 950 followers! I have considered blogging, but I am not sure anyone would be interested in what I have to say! I have a halloween party and for work I bough pin the nose on the pumpkin.. yes we are adults in my room, but you gotta have a little fun. Congratulations on all of your followers! I just started following your site but love it already! I live in the country so I don't expect any trick or treaters and I don't have any plans for Halloween yet. More Multiplication and a Giveaway Soon!